Based in four European countries, the UK, France, Spain and Portugal, the nine project partners are involved in marine protected area designation and management. The French marine protected areas agency was established by law on 14 April 2006 as a public undertaking dedicated to marine environment protection. The Agency is based in Brest and operates under the Ministry for ecology. The Agency is lead manager of the MAIA project and in charge of ‘work packages’ 5 and 6: Project communication and coordination. The Association du Grand Littoral Atlantique brings together the Regional Councils and fisheries and ocean farming professionals from the four Regions on the Atlantic - Western Channel coast. The association works to promote fishing and aquaculture activities in the Bay of Biscay. AGLIA manages ‘work package’ 1 of the MAIA project: State of play; knowledge-sharing between partners on Atlantic arc MPAs. 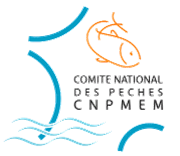 The CNPMEM is the national body of the marine fisheries and sea farming inter-trade organisation in France. It is a joint body comprising representatives of all marine fishery and sea farming professionals, from production to processing. JNCC is the public body that advises the UK Government and devolved administrations on UK-wide and international nature conservation. In relation to the MAIA project, JNCC is responsible for the identification, monitoring and advising UK MPAs in UK offshore waters. 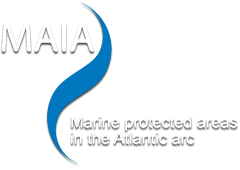 This role includes providing advice to Government on the selection of Special Areas of Conservation (SACs), Special Protection Areas (SPAs), Marine Conservation Zones (MCZs) and Scottish MPAs. JNCC manages ‘work package’ 4 of the MAIA project: Improving integration of stakeholders into the MPA designation and management processes. Natural England is a British public body in charge of nature conservation issues across the UK . As regards the marine environment, NE address questions concerning the coastal area up to 12 nautical miles. This non-governmental trade organisation develops strategic food and drink policies and aims particularly to promote the seafood product market. SWFD is one of the founding partners of the Finding Sanctuary project in the south-west of Britain. The project is now an official partner to the British government for MPA planning in the south-west of the country as part of the MCZ project (Marine Conservation Zone). The Consellería do Mar de la Xunta de Galicia is the official body in charge of defining and implementing policies on fisheries, shellfish farming, aquaculture and marine protected areas. The Galicia region heads up ‘work package’ 3 of the MAIA project: Defining and implementing management plans. The multi-disciplinary research group on marine resources and fisheries of the University of Coruña is responsible for monitoring several MPAs in Galicia. This laboratory has developed several cooperation projects with fishing professionals and other stakeholders to improve their involvement in the MPA designation and management process. ICNB is the national authority in Portugal on nature conservation. It namely takes part in implementing policies in favour of biodiversity and nature and manages protected sites (land-based and marine). IPIMAR is the national Portuguese research centre for marine resources and fishing grounds. Part of the national biological resources institute, activity focuses on the management and operation of marine resources. IPIMAR leads ‘work package’ 2 of the MAIA project: Developing shared monitoring strategies. Je viens de consulter cette page, http://www.maia-network.org/homepage/the_project/partners, je te la conseille.